[History] Favor Union Co., LTD.
1982. ”Li Chin Enterprise” was founded to produce precision molding and metal parts. The capital increased to NT$6,000,000.00 and started to manufacture Slim Potentiometers. In addition, the R&D department was established to develop the molding technologies and various kinds of potentiometers. Starting the export of C.K.D. of potentiometers. 1987. The “ FAVOR UNION CO.,LTD ” was founded with 650 square meters of manufacturing area. 1990. 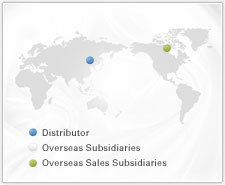 Jointed with Hong Kong “ Polysze Industrial Co. ” , the “ Polyshine Holdings Ltd. ” was established in HK. And the “ Polyshine Electronics Factory ” , invested by the “ Polyshine Holdings Ltd. ” , was established in Mainland China to produce various kinds of potentiometers. 1992. The “ Polyshine Electronics Factory ” moved to Dong Guan, Guang Dong with 700 square meters area. This year the “ FAVOR UNION CO.,LTD ” is expanded to 1,000 square meters. 1996. The “ Polyshine Electronics Factory ” has over 800 employees with the productivity over 7,500,000 pcs monthly. Passed ISO9002 certification. 1997. The 200 square meters of H.K. office was founded in March. The factory area of “ Polyshine Electronics Factory ” is increased to 15,000 square meters in July. The “FAVOR UNION CO.,LTD” passed the ISO9002 certification in September. 1999. The productivity of the “ Polyshine Holdings Ltd.” reaches 10,000,000 pcs. monthly. The “Polyshine Electronics Factory” moved to current location -5th Industrial Area, Liu-Huang Management Area, Cha-Shan Town , Dongguan , Guangdong , China , with the area of 45000 square meters. In March, the “ Favor Union's Electronics Factory ” in China was established for producing potentiometer's plastic and hardware parts. October, the “ Polyshine Electronics Factory ” passed the ISO 9001 certification. 2000. Set up Factory to produce carbon elements . 2002. The “ Favor Union's Electronics Factory ” moved to new factory in June and passed the ISO 9001-2000 certification in October. 2003. Monthly Productivity reaches 20 millions pcs. monthly,SA-49 switch has passed UL certification in May. 2004. In April, the “ Polyshine Electronic Co.,Ltd ” promoted from the “ Polyshine Electronics Factory ” was founded. Now the company owns six large manufacturing sections, more than fifty producing lines and with about 2000 employees! In Spetember, the “Polyshine Electronics Co., Ltd” passed the ISO14001 Enviroment Standard certification! 2005. Consider the increasing inquiries of potentiometers in China,the Favorshine Electronic Co.,Ltd. has established in March specially for promoting China domestic market. 2006. To satisfy the inquiries of Professional Audio manufacturer's need,reinforce the slide potentiometers research and development,various new models has been released. Set up trimmer potentiometer new production lines. 2007. The favorshine electronic Ltd has moved into Qingzhou city Guangxi province. 2011. Favorstar Electronic Co., Ltd. established in Kunshan. Focus on PCB thick film printing. 2013. Favor Union establish 3 Business Units, in charge of VR product, spare parts and PCB carbon ink printing products. Established a revenue sharing system to share our profit with our employees.